This movie just came out in Canada and im going to see it soon, its one of the funniest movies there is! the Star of the movie is Bruce of course which is Jim Carrey. I might go see it today and I will write a little about it when i come back home from the theatres. There is something weird i noticed... Before they were after Bin Laden and now they're after Saddam well what to happened to Bin Laden than and which one is the Americas Most Wanted, before I saw on the T.V that Bin Laden was the most wanted person of the F.B.I. 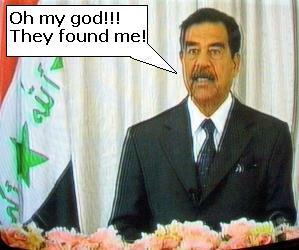 is it Saddam now? new template, it is the new template and the tags are different and it is speacial for the new blogger system. Im in school right now and today in chess club 3 people me and two others bet our teacher Mr.Ryan that if one of us win he gets us 4 large pizza's and if the three of us lost from him than we had to buy him coffe and a muffin and a double double... so we won and he spent more than $50 to buy the 4 large pizza's well that was a fun class. Finally the template html is back and im guessing Blogger is getting really close to changing all users to Dano. Soon very sooner than you think, every blogger.com users will change auto to Dano. What is Dano? well I think you should check this page out the Dano is just the system that works for blogger... and the new blogger is called Blogger Basic which has more feautures and new tag htmls. I migrated from this page http://new.blogger.com/projects/dano/migrate.pyra a week ago for my Persian Blog (which is closed now...) and now it says this in the page "Hello. We're working on a new version of Blogger called Dano. We've now concluded the beta-test period and are preparing to move all users to Dano. In preparation for this move, we've stopped the opt-in migration process. Thanks for being curious about the new version; everyone will be using it shortly." I changed my comments to the Enetation one but it gave an error to my blog and my blog stats wouldnt show up so i decided to change back the comments to what it was like before < width="15" height="15">. Well its been a really busy day I had a soccer game this morning and it took 2 hours exact and than when i came home i helped Amir Bahador Kharazmi with his group which i was pleased to help such a talented singer. And im trying to change the comments template and my bro is helping me with some RSS stuff now. the blogsphere and helps with other stuff from blogs. The ultimate authority for the U.S. military occupation of Iraq is Army Lt. Gen.
rebuild damaged infrastructure and help establish a representative government. region, plus U.S. officials running each of 23 governmental ministries. Vietnam and Somalia, will run northern Iraq. President Cheney, is the "financial coordinator" for ORHA. Former U.S.
ambassadors Robin Raphel and Timothy Carney are in charge of trade and industry. The foreign affairs portfolio is held by David J. Dunford, a former U.S.
romising picture. "This is not," he declared, "a country in anarchy." has been selected to lead the rebuilding of Iraq's petroleum industry. What is the role of the U.S. military? streets as a quasi-police force. For now, Iraqi leaders serve in an "advisory" capacity to the U.S. officials. the Baath party have been banned from government jobs. Iraq where most of the people are adherents of the Shiite branch of Islam. U.S.
Who are the Iraqis who will take over? called the Iraqi National Accord. powers far more modest than those leaders had originally expected. How long will Americans run Iraq? Well its getting really warm outside, summer is starting and people are going out more. Well im going biking with my freinds now. I have also taken a picture of a flower to give you the picture of the flowers that are growing because in Canada, the place I live in the summer the flowers start to grow and the grass gets green and the weather gets a lot warmer. I wonder what its like in other places. Ive changed the backround music. For more info about it ive written about it on my last post. Time for a music brake! Why is there so many blog writers named Ehsan? http://weblog.ehsanix.com and because he is so famous in the persian blogsphere and his name is also Ehsan it brings other Ehsan's to write weblog's too. Or there is just a lot of people named Ehsan. 6 dollars if you spit! In China the laws get strict on spiting and you get fined 6 dollars. Why they fine you is because that if you have SARS and you spit than obviously someone else will get SARS from you. The China goverment is putting 1,000 police officers on the road to keep watch of people not to spit, and if they do than 6 dollars is theyre find. I saw this movie yesterday and I had a good time.The movie was way better than the first one and also funnier most scenes were just like obvious that they were fake tho like one part Neo (the guy in the picture) was jumping on other people's heads and, hehe it was funny. Well if you really want to know how the movie is like than go see it! The U.S.A site in persian! HERE to go to the site! Im in my school right now and our teacher let us go on the computer so i went on some game sites i found a great one called Adictinggames.com and it has really good games.See for yourself by clicking on the name. The test wasnt that hard I think il get an A or B and thats a good mark. I have been really busy today and I also have a test tomorrow in school so i have to study and I also have finished the persian weblog i only need to work on the archive. So i guess bye till tomorrow. What is wrong with Blogger! Today when i was making the Farsi version of my weblog all the soden my whole blogger template disappeared! is any other bloggers experiencing the same thing? If you have flash you would have noticed that i put music on my site you can press stop or play the music is by "Saeed Mohammadi"
and the song is "Mahe Man" tell me what you think of the music. well it didnt go that bad we were winning in the first half and than in the second half when there was 10 minuites left they scored a couple of goals and we lost. well i think my next game is next saturday or sunday. well i have a football game today its pretty fun, im excited as always. what was the war about OIL or PEACE? Most people say that U.S.A made war with Iraq because of its oil and i think its true because they still dont even have everything ready in Iraq and in the news i was watching it sayd that "the Iraqy Oil had been the most important thing to rebuilt Iraq" so far i havnt seen a thing get rebuilt. I found this great game site Its called www.addictinggames.com there is almost the best java and sockwave games check it out if u dont belive me! I asked my brother Sassan @ sassan.blogspot.com to help me but instead he put errors in my blog and he helpes other people with theyre blog so now i need some help with comments and making the XML and stuff like that if anyone could help me please contact me! Id be happy and thankful if you did. I found this comercial about Umbro that shows a guy telling the dog to jump and just when he does the guy kicked him in the direction to the old lady so it would wake her up LOL this was hilarious for me. There is a chatline that you can type to people from around the world i think its pretty good and fun this was originally made for people from UK but than it got real famous around the world. Today i went to see how persepolis was doing so i went to this site and it had 8 pages. The pages 5 and 6 werent working and the rest of the pages were about football. Do you see something weird here "The whole site is written about football and the site name is iran-varzeshi"
Hello people i have opened my weblog.well you might know me from my top 50 i made and from now on i will also write about the sites that enter it :-) hope you do too.